We’d love your help. 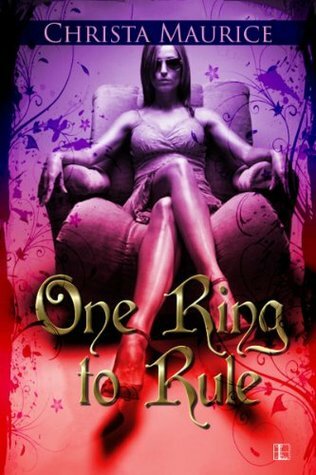 Let us know what’s wrong with this preview of One Ring to Rule by Christa Maurice. One spurned editor, one groveling prodigal artist and one hundred thousand eavesdropping fans. Lindsey Cartwright didn’t set out to become the Wicked Witch of Comics. But then she fell for hot-shot artist Kent Farrington…and got dumped. When he walked out, he left her with no explanation and zero sense of humor. Kent knows he’s got a hard road ahead if he wants to win Lindse One spurned editor, one groveling prodigal artist and one hundred thousand eavesdropping fans. Kent knows he’s got a hard road ahead if he wants to win Lindsey back. He’ll need to catch her at the perfect time, in the perfect place. What could be better than the biggest comic book convention of the year? 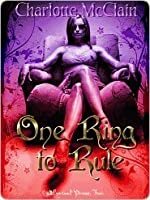 To ask other readers questions about One Ring to Rule, please sign up. Lindsey is confusion at it's finest. I loved how Lindsey and Kent's characters worked together. He had to grow up and doesn't know how to show it. She knows how to show her feelings but doesn't want to. They are both in awkward situations and it shows through in their body language and how they try to relate to each other. I laughed at certain scenes in the book and cried at a scene or two. I was really rooting for Kent to be able to get through to Lindsey. I though this story was very well writ Lindsey is confusion at it's finest. I loved how Lindsey and Kent's characters worked together. He had to grow up and doesn't know how to show it. She knows how to show her feelings but doesn't want to. They are both in awkward situations and it shows through in their body language and how they try to relate to each other. I laughed at certain scenes in the book and cried at a scene or two. I was really rooting for Kent to be able to get through to Lindsey. I though this story was very well written. The feelings Lindsey had are so true to life. Who of us is not utterly and totally confused about breakups? Charlotte McClain definately knows how to give her readers what they want. She will have you begging, PLEASE let these two get back together. I loved this story and will definately read more of her work.